We’re well under way of revealing just some of the winners for 2016’s RESAAS Real Estate Rockstars. Earlier this week we announced RESAAS’s 2016 Real Estate Rockstar nominees and winners for branding, real estate website, social media and real estate coach. But not just any old brokerages. The most innovative of the bunch. Brokerages ain’t what they used to be. They’re becoming more progressive, more tech-savvy and more innovative than ever. Hence why we couldn’t not add ‘Most Innovative Brokerage’ as a new category to the RESAAS’s 2016 Real Estate Rockstars list. But, before we get to our nominees and reveal this year’s winner, let’s talk criteria. Is the branding consistent throughout all mediums? Does the brand represent the brokerage’s expertise? Does the brokerage provide added value to their clients? Have they gone above and beyond to offer more to their clients? Is the brokerage using cutting-edge technology to market themselves? Is the brokerage ahead of the marketing curve? 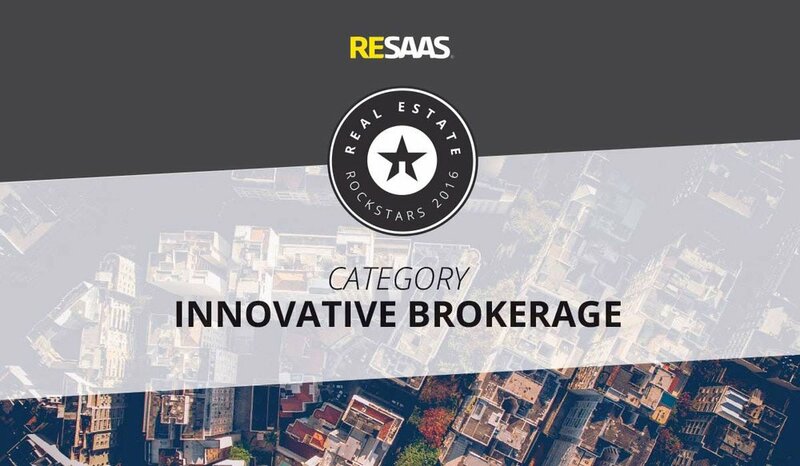 It shouldn’t come to any surprise that Compass would be on the list for Most Innovative Brokerage. Since launching only four years ago, founders Ori Ollon and Robert Reffkin, have taken a modern brokerage and brought it light years ahead of its time. Within the past year, Compass raised $75M in funding and received an valuation of $1B… oh yeah, and they just released their own app, which makes it even easier for agents and consumers to get comparable market data. Okay, so you might have noticed The Boutique Real Estate Group sprinkled throughout our nominee lists and it’s really no wonder. They’re a brokerage that knows how to draw some attention. Principal Owner, Raj Qsar, believes in the power of marketing and good PR. That sort of business approach has definitely paid off. From their guest contributions on industry publications like RESAAS and Inman to their big budget videos, Boutique RE is taking the luxury lifestyle and bringing it to the homes of Joe Shmoes in pursuit of the American Dream. With a few Million Dollar Listing agents in their arsenal, an iconic Airstream and their own online magazine, Climb’s made some waves in the industry this past year. The San Francisco based brokerage may only be six years old but that hasn’t stopped them to grow as the real estate brokerage in the Bay Area. What makes Climb that extra bit special is their new Airstream - a 120 square foot, office on wheels. No need to make the trek to their office space for them to deliver exceptional customer service, Climb hauls their Airstream all over the city. Now, that’s service!